As I dragged myself out of a 16-hour, jet lagged slumber last week, I didn’t take it for granted that I was back safely across the world, ‘home’ in Kazakhstan. After a trip that included Azerbaijan, Canada and Turkey, we were quite literally blown back into Aktau. A severe dust storm almost prevented the plane from landing; we passengers erupted into spontaneous applause as the plane managed to touch down, despite the impenetrable, brown ‘murk’. Reminiscent of the days when applause followed each landing, it’s still a custom when flying in this region and it was entirely deserved on this occasion. Fine dust scratched my eyes and throat before I had even exited the airport; the serenity of two weeks on Vancouver Island already felt a million miles away. And so upon waking the next day, three weeks of travels cascaded through my mind. The usual panoply of books and pamphlets collected over the weeks reminded me… there’s so much I want to write about. Books on Totem Poles, Emily Carr, The Silk Route, Topkapi Palace and Hagia Sophia. Where to begin? “In fact I was there about three weeks ago, what a beautiful city, I loved it!” I said excitedly. And I had, to put it mildly. You can be forgiven if you’re not quite sure where to find Baku on a map. It’s in Azerbaijan, a quick forty-five minute flight, west over the Caspian from Kazakhstan. In this short jaunt, one is transported to a city so brilliant in its cutting-edge architecture and spectacular lights, that it mesmerises even the most seasoned traveler. Much of the architecture suggests you’re in Europe. Wide, verdant boulevards intersect the shimmering Caspian with high-end shops in stately buildings. World class venue sites stand ready for events such as the Euro games, the Grand Prix and the Eurovision which kick-started the building trend in 2012. 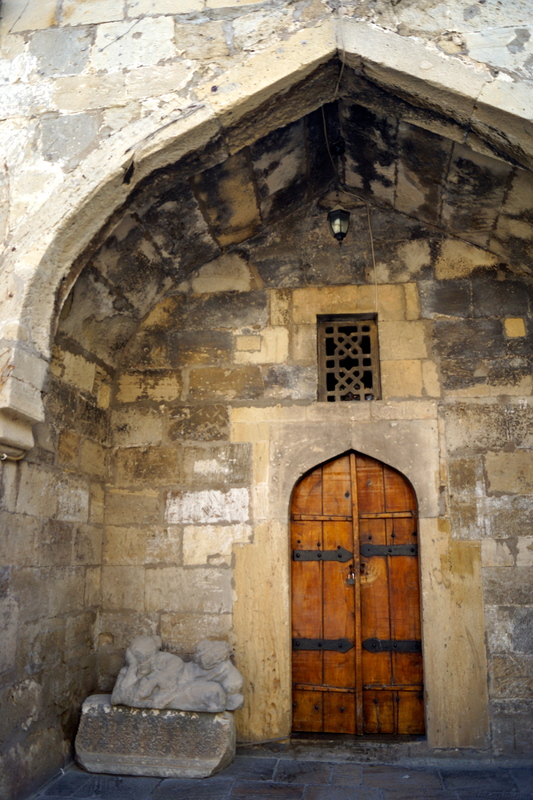 Icheri Sheher, the old city, harkens to centuries past. Sights that span the centuries from the Great Silk Route to the modest Sultans, the Rulers of Shiravan. It spoke of repelled attacks, but also of lost campaigns such as against the Persians in the 1500’s. They promptly trotted off with many Azeri heritage pieces, now in museums world-wide. All the more important that parts of the old city itself are now Unesco Heritage Sites and mercifully, they aren’t going anywhere. Yet, the more recent history of this city’s transformation is particularly fascinating. By the 1860’s, Baku oil fields accounted for 90% of the world’s oil supply. The population at this time grew faster than Paris, London or New York. Along came workers from neighbouring Iran, Uzbekistan, Kazakhstan and further afield… also artists, travellers and tycoons. “Darling, l’ve so loved Venice, lets go home and re-create it in Baku,” could easily have been a conversation between an oil tycoon and his wife during these epic days that flourished into the ’20’s. Names such as Hajinski, Rothschild and Nobel. Yes, the same Swedish Nobel family of Nobel Oil, of the Nobel Peace Award. 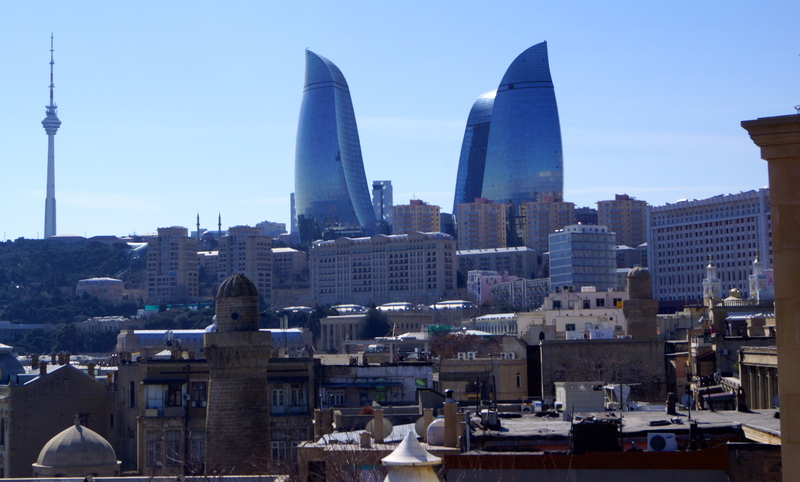 They were in Baku building a fortune, some of the first oil tycoons. Cobbled, medieval streets are lined with their once opulent villas, inspired by their heritage or visits to Europe. Countless oil barons built villas with Italian logias, those wooden balconies that peek out over the streets. They built with lavish marble, fashioned exquisite gardens and collected priceless artifacts for their villas. Some of those treasures are now displayed at Nobel Villa Petrolea. It was a time of flux and opportunity. 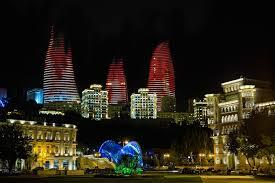 Baku transformed from a population of 14,000 in 1898 to over 200,00 in 1920. I hadn’t quite realized this aspect of the city’s history, but I had anticipated that I’d be visiting a medieval settlement that had been on the Silk Route. 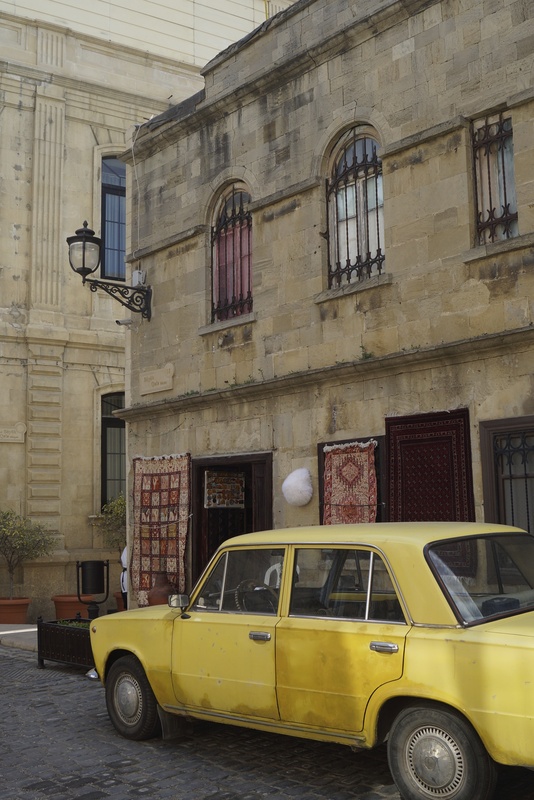 This has become a recent fascination for me and I’ve come to realize that over the years I’ve traveled to many of these storied settlements… Nara, Xian, Guangzhou, Almaty, Varanasi, Kathmandu, Jaisalmer, Muscat, Istanbul, Venice, Rome, and now Baku. At each of these grand staging points, amidst markets and trading establishments, was a caravanserai. And for the first time, at least to my knowledge, I finally stood in one of these medieval accommodations along the Great Silk Route. These trade routes developed from the 3rd century BC to the 15th century AD. They conveyed goods, knowledge and customs across vast territories, connecting diverse people. Eventually a network of caravanserais stretched from China to the Indian subcontinent, Iran, Turkey, as far as North Africa, Russia and Eastern Europe, culminating in Rome and Venice. 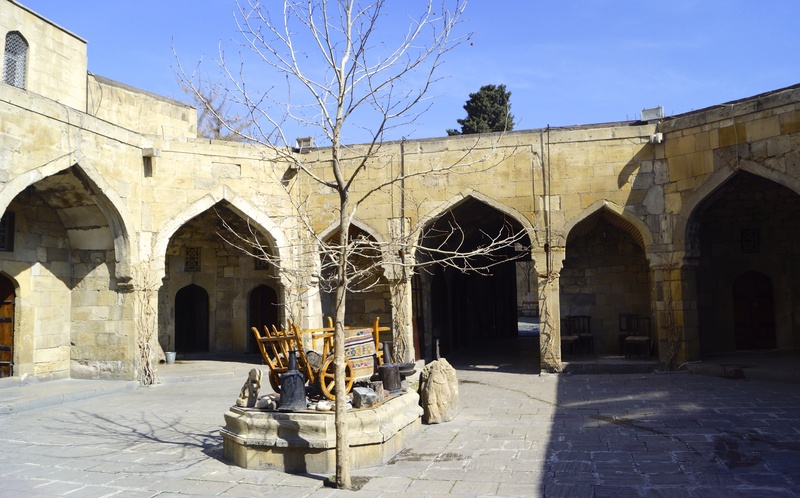 As I stood in the centre of the octagonal caravanserai in the old town of Baku, centuries of worn stone beneath my feet, I could imagine the scenes that had played out on this spot. Scores of camels shuffled in, their woven camel bags bursting with silk, dried fruit and saffron, jewellery and precious stones, pottery and weapons. The weary merchants could now rest with their precious cargo safe in the confines of the stone shelters; a respite from the dangers of the road or the volatility of the sea and feared pirates. I could hear the cargo being unpacked, chatter filling the air, camels eager to be fed and watered. Once the gates were locked for the night, the caravanserai would come alive with baths, welcoming food, mingling around open fires and strumming of music. A chance to recount the journey, tell tales and rejuvenate. Often these caravans traversed the route for a year or two, trading and restocking en route. 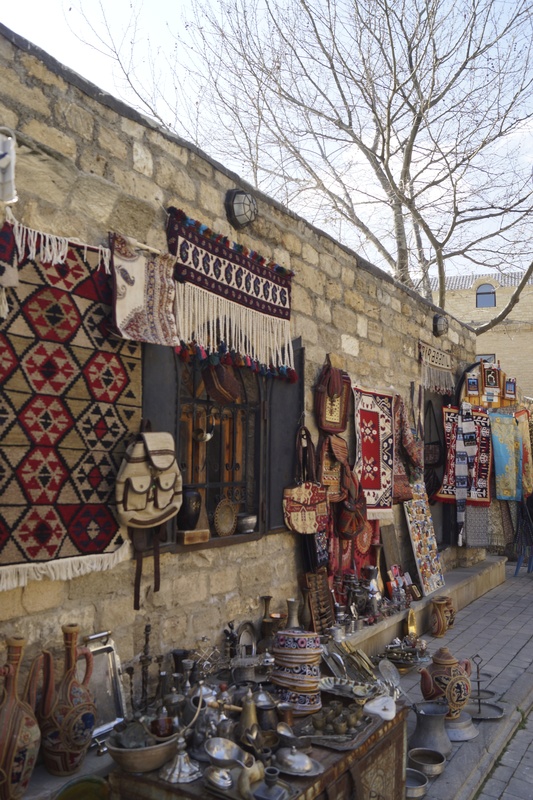 In Baku, new goods loaded included age old exports from Azerbaijan; oil, dried fruit and salt, dyes,weapons and carpets. I flowed my hand over a simple, yet evocative sculpture. From its vantage point it would have witnessed the pulse of the caravanserai, where merchants, missionaries and travellers such as Marco Polo would have engaged in cultural, scientific and spiritual discourse. Yes, it seems Marco spent some time here in 1264. He, like others, wrote of ideas and innovations carried along the silk route; the stirrup, the irrigation waterwheel, paper and printing. Polo, and indeed even Ghenghis Khan, became particularly enamoured with the abundance of rich silks along the Route. Silk tents, silk-lined wagons and, as Colin Thubron mentions in Shadow of the Silk Road, Ghenghis observed the “silk-clad women, glittering ‘like a red-hot fire.” Polo wrote of “the whole court of Kublai Khan assembling in identical coloured silks, according to feast-day.” With such descriptions one can easily imagine the extravagant life that trade along the Silk Route afforded those of wealth and status. As I stepped through the imposing stone arch, back into the street, I felt the same fascination that travel writers before me must have experienced in places of antiquity… a sense of the confluence of history. One such writer was the intrepid Freya Stark. 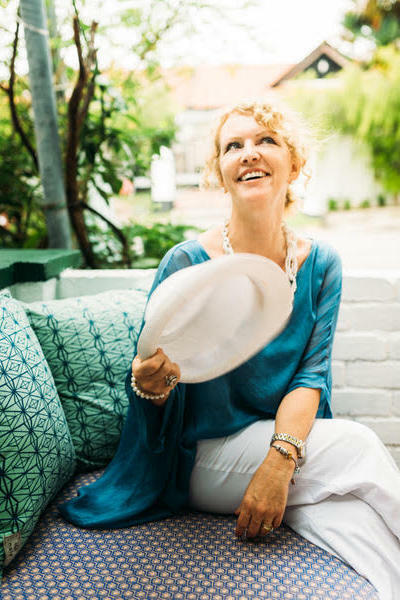 I look up to her, one of the first women to travel alone and write about such ‘exotic’ locations. Of course, I’m not a renowned writer as she was and cannot begin to compare with likes of Paul Theroux or Colin Thubron, but yet I feel acute delight to have been here and to share it in my own humble words. I found my modern day travel companion and confessed that I’d experienced a poignant moment, for me at least. I admitted to her that I had long wished to experience a tangible sense of the Silk Route and to absorb the layer upon layer of history. Perhaps sensing this, Okkie had left me alone inside the caravanserai and she now gave me a hug of understanding. 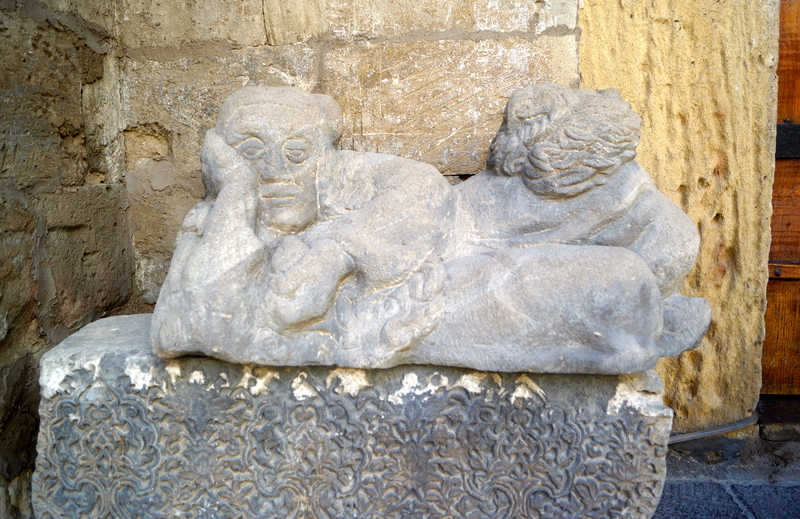 We sat on a low stone wall, turned our faces to the sunshine and silently absorbed Icheri Sheher. I had met Okkie in Aktau. It was one of those friendships that forms quickly. We both have three sons, similar interests, by chance we have mutual friends dotted around the world and we’ve lived in some of the same countries. Not surprisingly, many of the same artifacts are common in our homes; furniture, pottery and carpets from time lived in the Middle East. Not surprisingly we both agreed that the Azerbaijani Carpet Museum was a must-see. 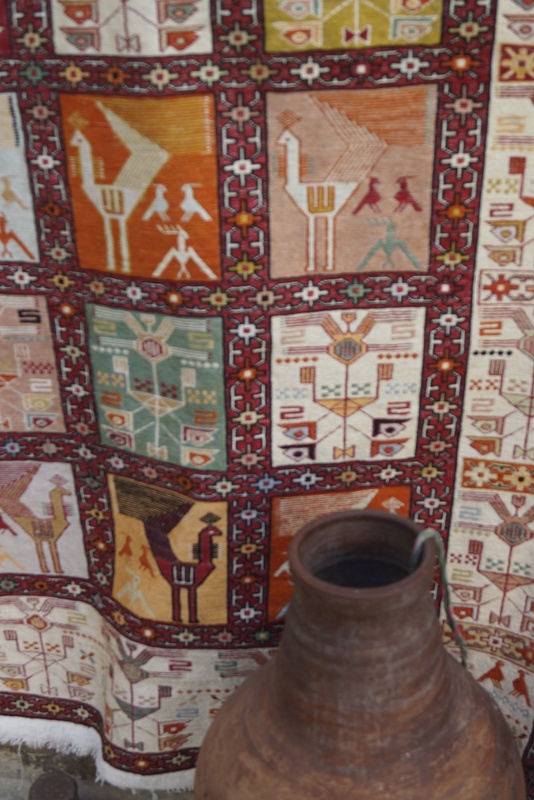 Azerbaijani carpets have been proclaimed a ‘Masterpiece of Intangible Heritage’ by UNESCO. Delightfully, the museum is built in the shape of a rolled carpet. 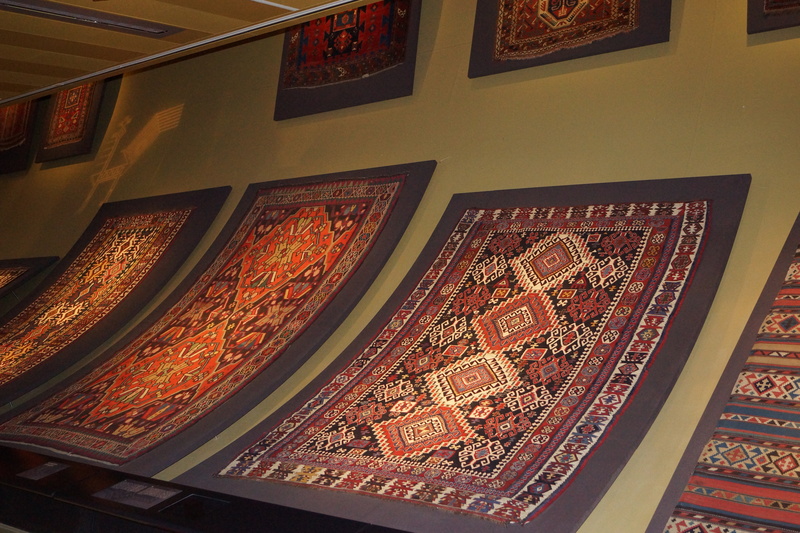 As early as the 7th century, travelers exalted the high-quality rugs. We were intrigued by the exquisite colours from natural dyes such as pomegranate, madder and elderberry for red, sorrel and juniper for green, sagebrush and saffron for yellow, onion skin for orange…indigo and blackberry for blue. 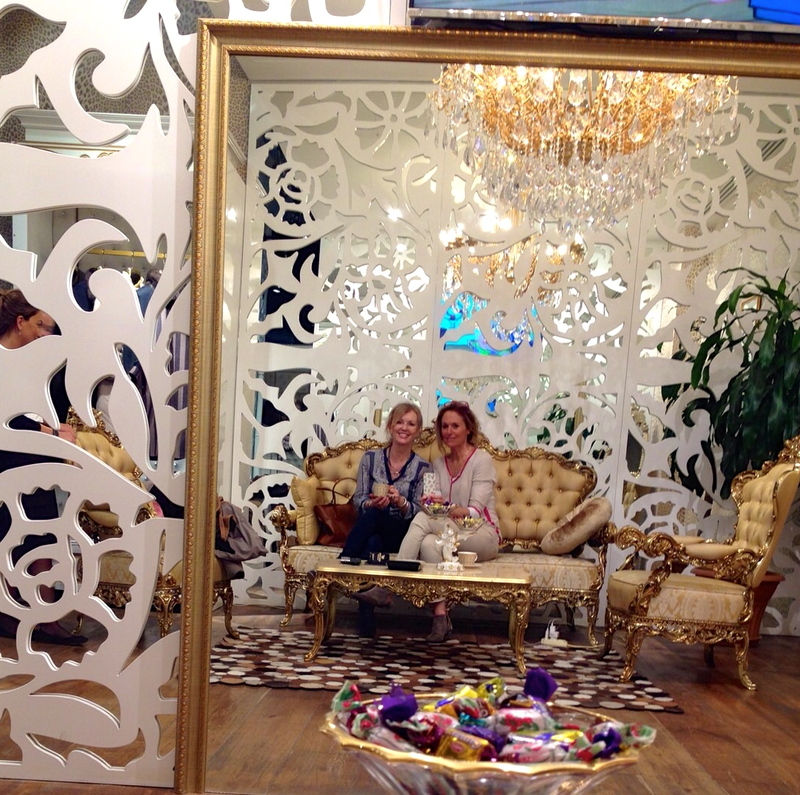 We marveled at the distinct designs and themes that originate from different areas; from Shirvan, Tabriz and Sumakh. I have such clear memories of these names tumbling from shopkeepers’ lips as I painstakingly chose carpets in Dubai, Doha and Muscat. Now here I was, admiring the treasured collection at the country of source. After fulfilling days of sightseeing, we dined in sublime restaurants poised over the Caspian. 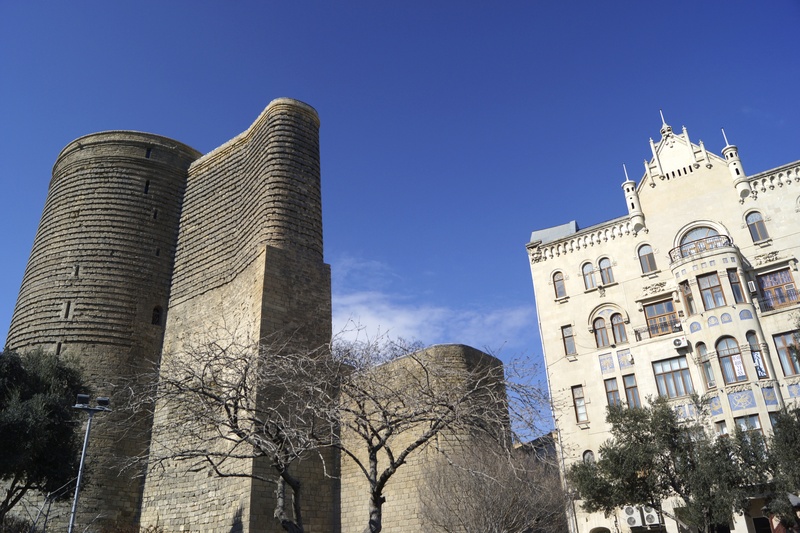 Edifices from countless centuries traced the skyline, a minaret and tower from the 12th century, hammam cupolas from the 14th century, sculptured towers from the 21st. I understood why Baku has been a desirable city for thousands of years; a city that really isn’t only about oil after all. 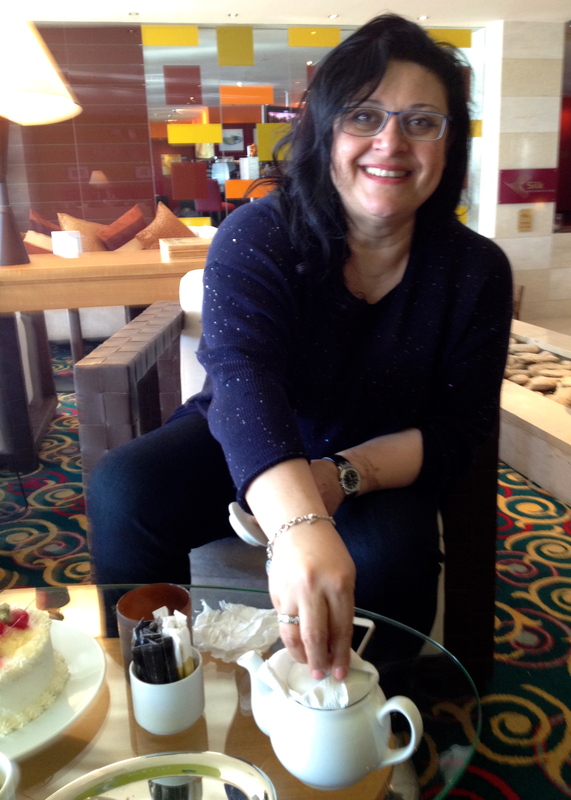 Back in Aktau a few days after our first encounter, I have tea with my new Azeri friends. I ask about the scrumptious rice dish that we had ordered at every chance whilst in Baku. “How on earth do you make your rice dish? It’s called ‘Ash’ isn’t it?” I asked. Samira, whom serendipity saw fit to cross our paths, leaned forward in her chair. Positioning the teapot as a ‘cooking pot’ and the napkin as the ‘cotton cloth I’ll need to line the lid’, Samira demonstrated the pilaff recipe in her loveable, expressive way. “This is the secret of our country’s dish…butter, it’s all about the butter!” Ah, just as Okkie and I had suspected. On our last night in Baku, we had gone to a revolving lounge, high in the sky, and I’m sure the topic had come up. After all, we had time. Hours and a few bottles of excellent Azerbaijan white later, the lights that sparkle upon the Caspian and Baku transfixed us. Our gorgeous hotel revolved into view, the towers, the illuminated villas, and on and on. “Just one more ‘go round’, we’d say. After all, the modern sights are pretty great too!